and excepted to get you truck as close to 6k or 8k as possible. Holiday Inn Gulfport Airport, Best Western, and Clarion Inn are all sponsoring hotels. They are conveniently located on the same property 6 miles from the track on US HWY 49, directly off I-10. They have a huge semi truck parking lot behind the hotels for trailer parking. We have hired security to patrol the parking lots at night. 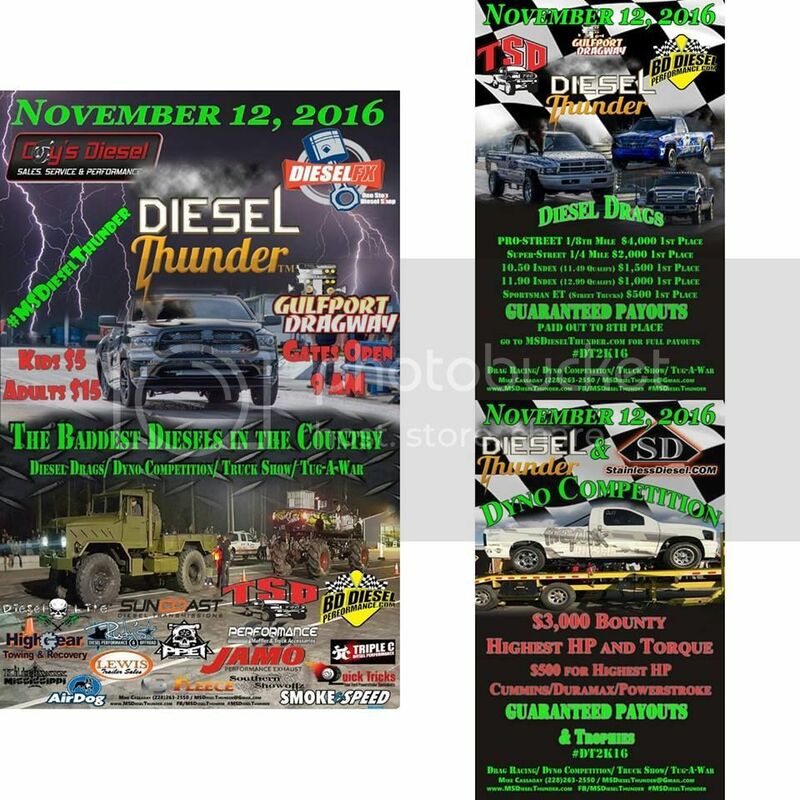 Friday Night November 13th we will have a truck meet at the Best Westren in Gulfport on Hwy 49 (one of the sponsoring hotels). Inside Michaels Country Club which is attached to the hotel will be drink specials. Last edited by DieselThunder; 10-26-2015 at 10:20 AM. Who all is coming to this? Gonna have ZMBYKLR running the 11.90 class. It's a relatively new event but always a good one.